The motorsports world has been bombarded with articles, videos and opinion pieces on why we should all love ‘Baby Driver’ and all its stunt car goodness. Sure, they did impressive car stunts to make that movie possible, or at least that’s what I gather. I honestly wouldn’t know though, the story is about as appealing as a Kirsten Stewart biopic. Instead, I would love to focus on a movie that came out this year, which also featured a bunch of cool car stunts that thankfully weren’t done in a Subaru. None other than John Wick 2. Keanu Reeves first go-round as John Wick was such a success they immediately turned around to make the sequel. Not to spoil too much of the movie, but it does feature Keanu Reeves viciously killing several assassins like an absolute badass. But one scene stands out above the rest and that happens when he tries to retrieve his ’69 Mustang from inside a warehouse. The scene is absolutely frantic with all sorts of destruction happening at once. While I hate seeing a classic car destroyed(in this case 5), for the sake of a film, I can’t help but love this scene. On top of the absolutely amazing choreography, it was nice to see the characters car damaged while fighting instead of the hilariously impossible scenes where the hero makes it out without a scratch. Vanity Fair was lucky enough to sit down with Stunt Coordinator Darrin Prescott who made all of these incredible scenes possible. It was great to hear that they Let Keanu do a lot of his own stunts, adding that much more to the movie. Reeves is reportedly one of the most down to earth actors in the business as well as an absolute moto junkie. Just check out his Arch Motorcycles for proof of that. With the green light, Reeves took up a few stunt driving courses on top of his packed fight training schedule. 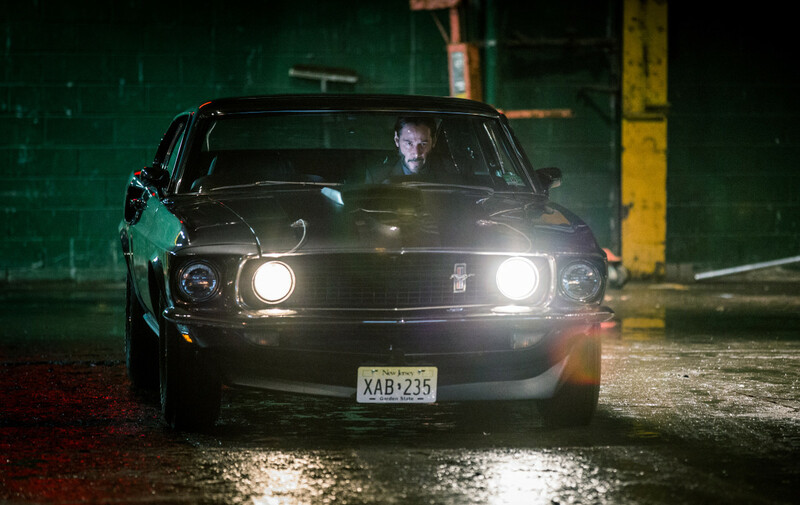 By production time Prescott was calling him “one of the best actor-drivers in the business.” Check out the full in-depth video of how the warehouse scene was shot, it might give you some new respect for Mr. Reeves.